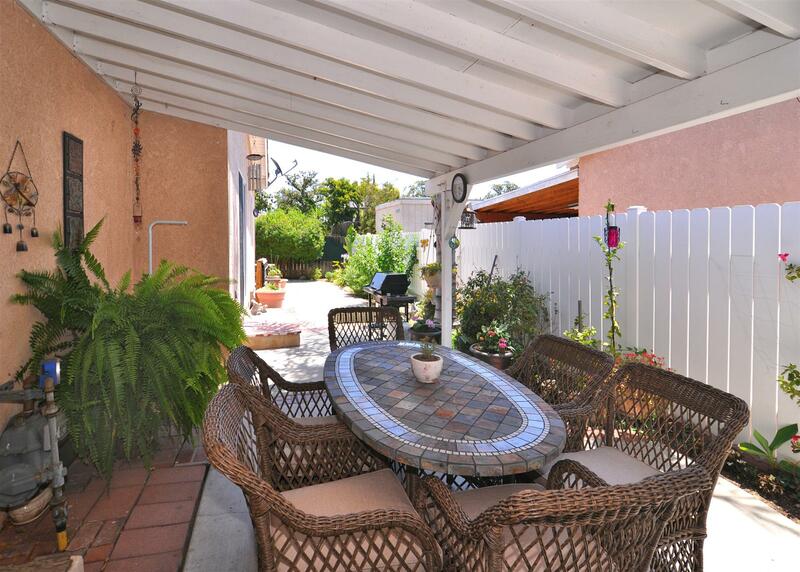 Step up the inviting brick & sit on the porch bench to enjoy the sunshine and picturesque front yard. 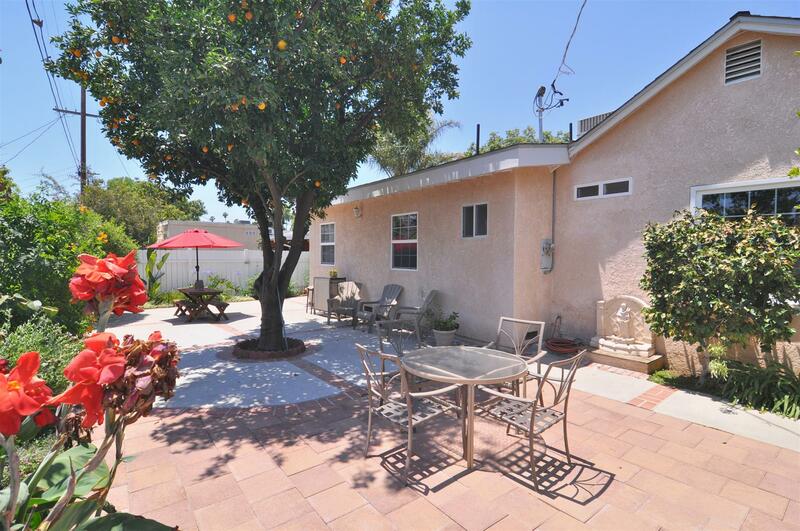 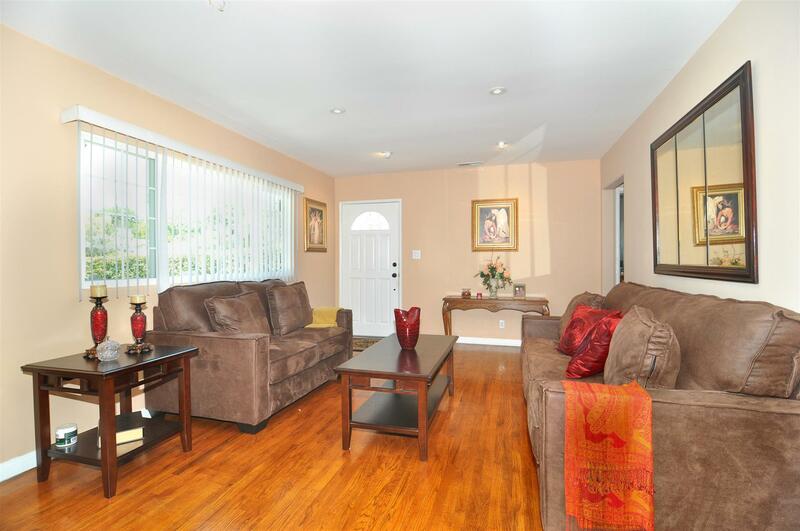 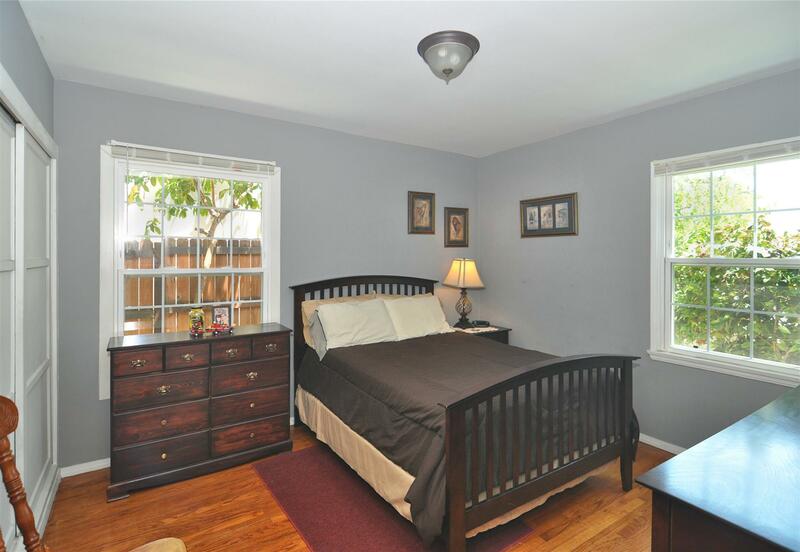 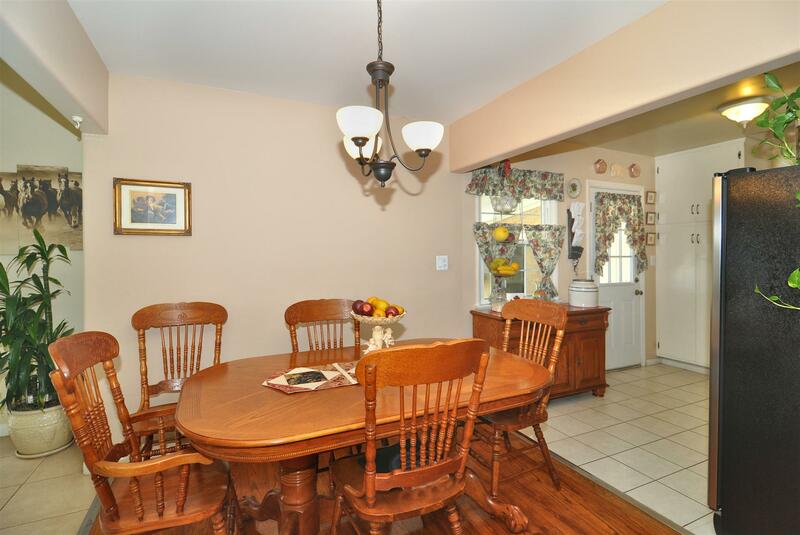 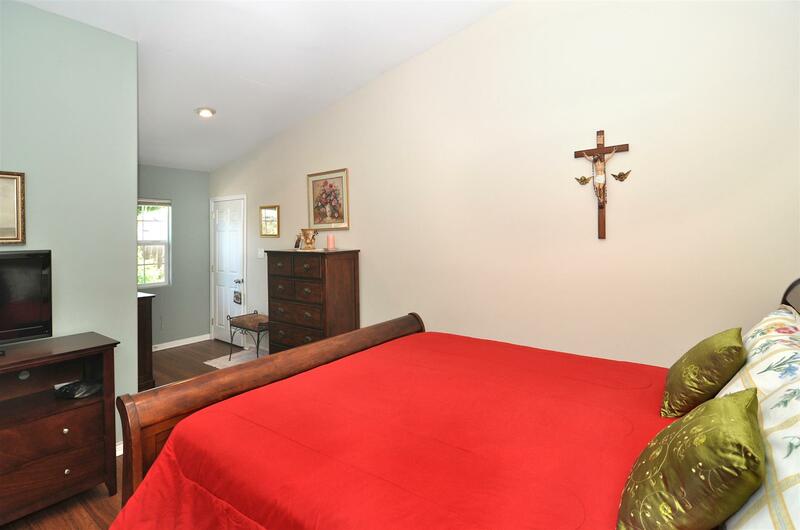 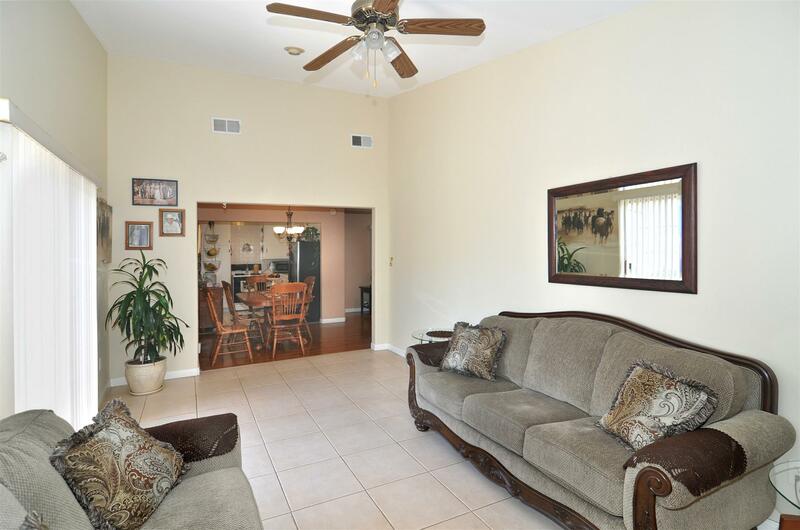 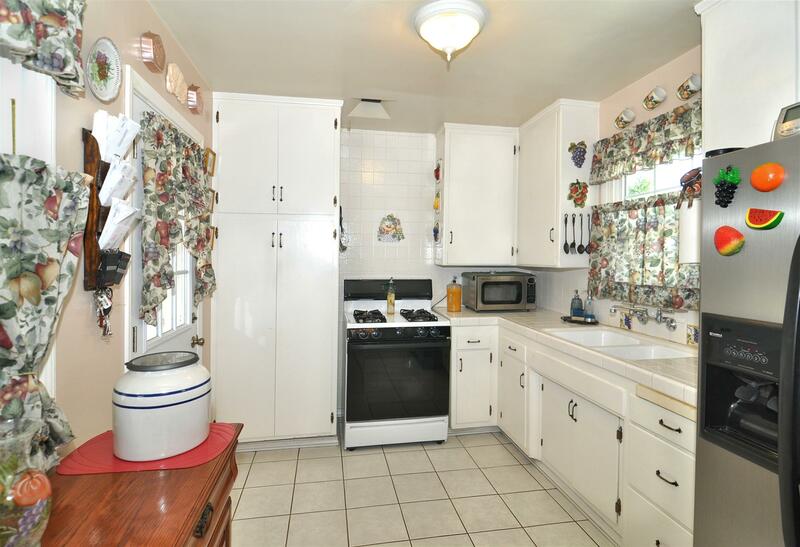 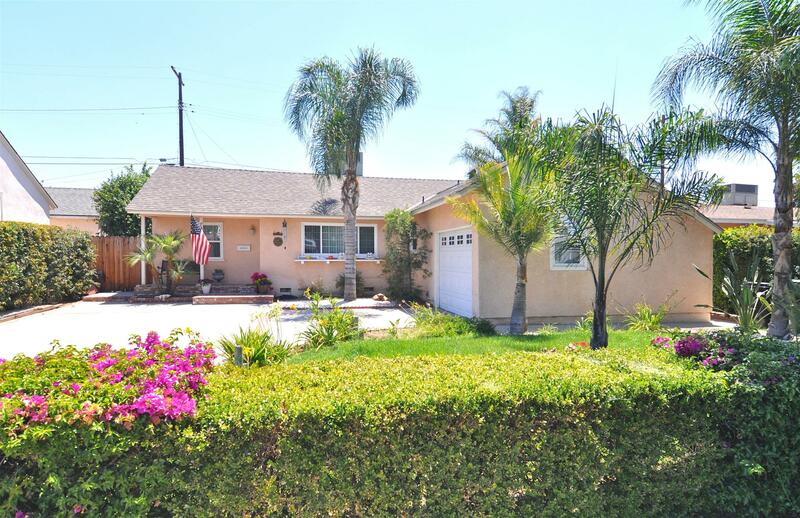 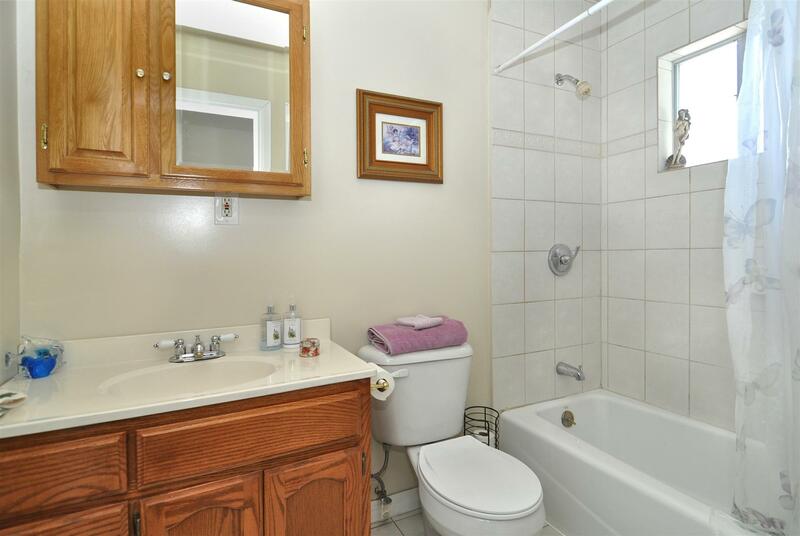 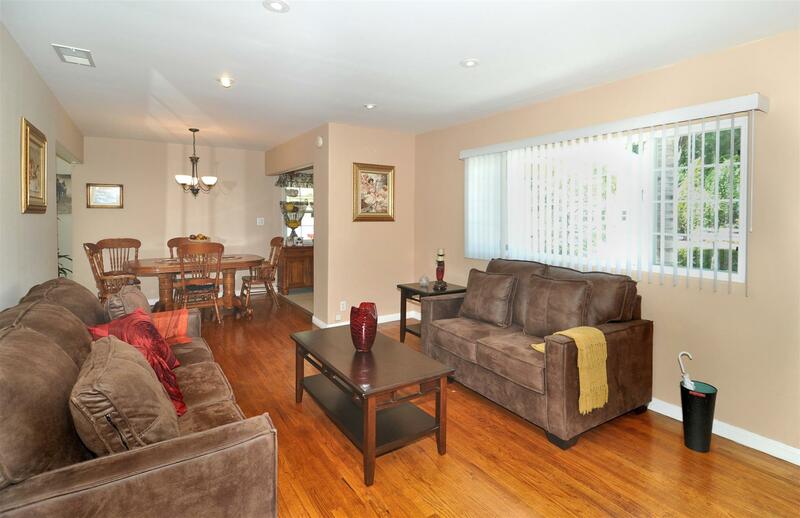 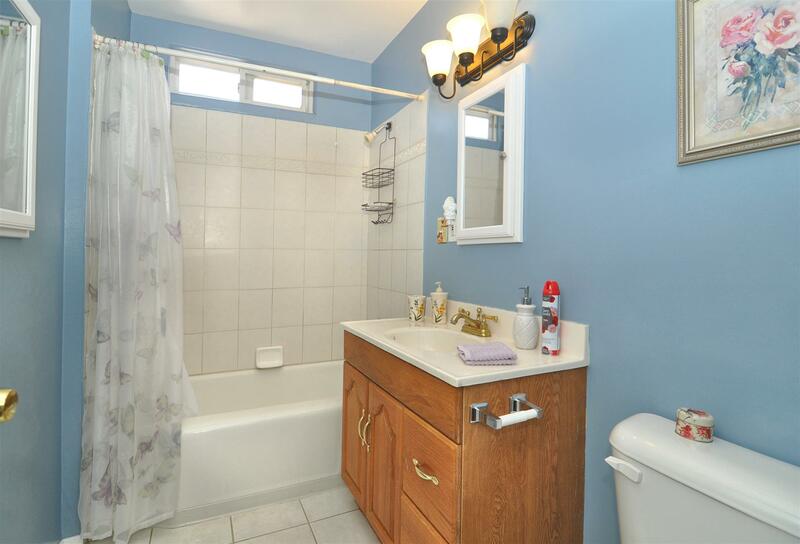 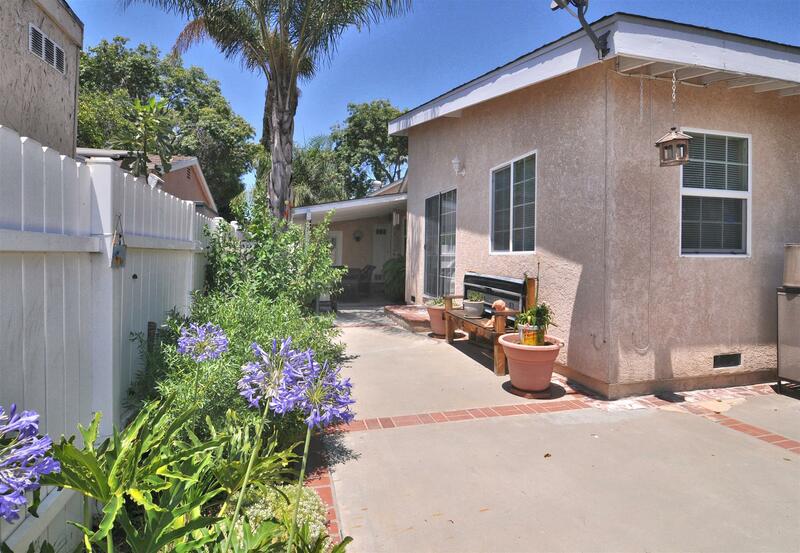 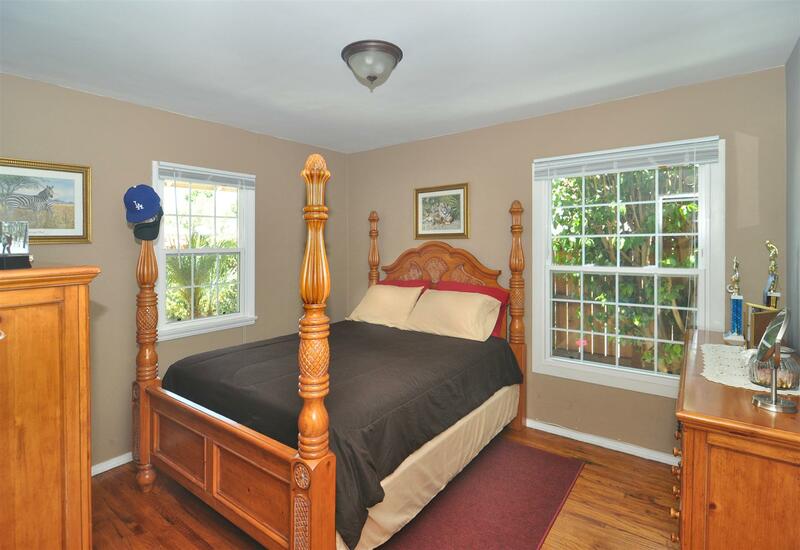 This 3 BD/ 2 BA, has an open layout with an excellent space for entertaining. 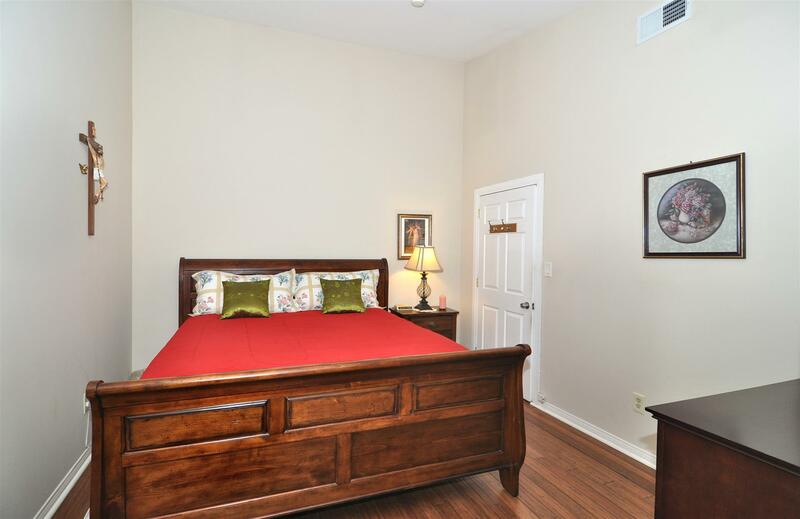 The en-suite master bedroom features a raised ceiling while the other bedrooms are ample in size. 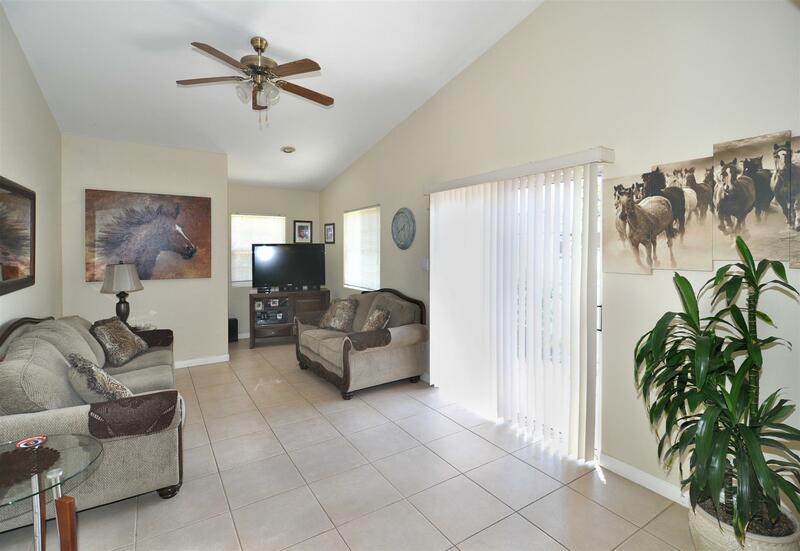 A vaulted ceiling in the living room and sliding glass doors from both the kitchen a living room, bathe the space with natural light and lead to a covered patio. 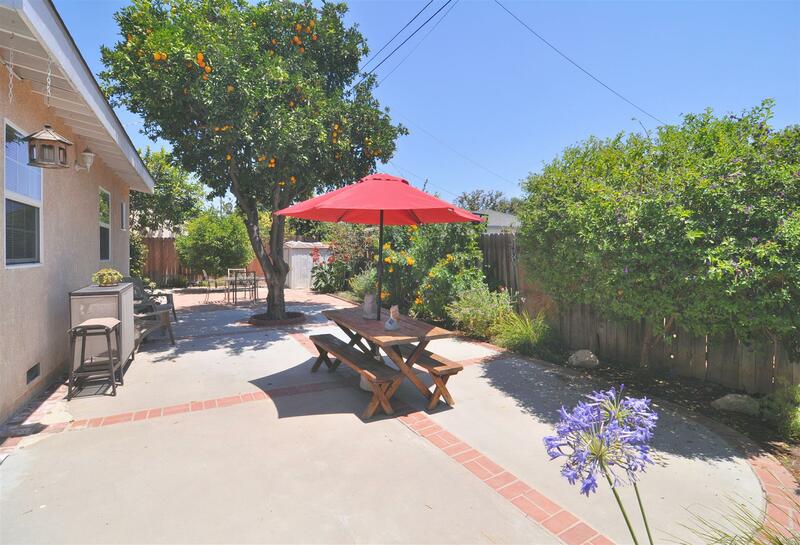 A serene backyard highlights a mature citrus tree.